Hey everyone! 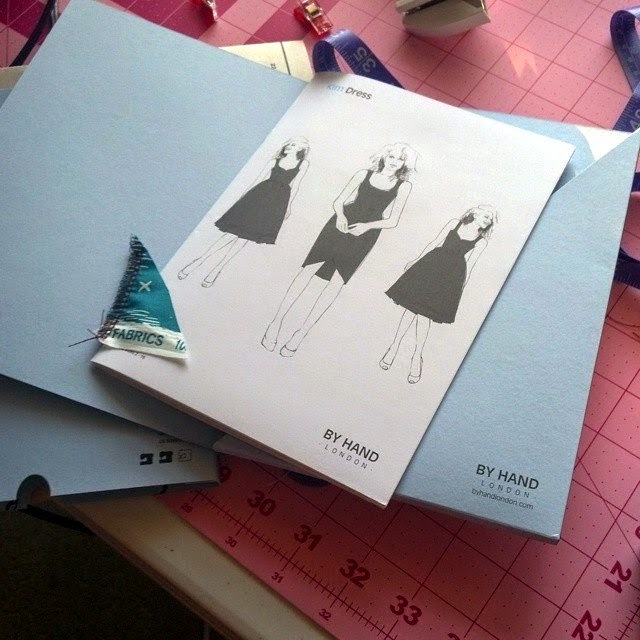 I am so happy you are stopping by today for Pat Bravo's Etno Fabrics Blog Tour. For those new around here, my name is Hilary and I blog every now and then, here at Young Texan Mama, and you can also find me over on Facebook & Instagram. It was on Pat's Instagram that I saw her post about needing people for the tour to showcase her new beautiful Etno fabric collection for Art Gallery Fabrics. So I emailed her right away and crossed my fingers that I would be chosen. I was so excited when I got the email saying I was 1 of 20 wonderful ladies that were selected! As soon as I found out I was part of the tour I knew I wanted to make a dress. I have worked with Art Gallery Fabrics in the past and I knew that they have a wonderful drape and that makes the quilting cottons a magnificent weight for making garments. Pat sent me yardage of this gorgeous print Sauvage Sky North. The color is absolutely devine. You can see the other prints in the Etno Collection HERE. The dress I made is the Kim Dress by By Hand London. I'm going to do a full review of the pattern this week. Here's a hint: it is pretty darn awesome! I lined the bodice of the dress in the same print in Artic. The dress has an invisible zipper, and I was dreading sewing it in because I always have issues with them. But I purchased this invisible zipper foot for my machine, rather than using the generic plastic one from Joann's, and it made sewing in the invisible zipper a dream! Seriously the best looking invisible zipper I have ever done! I seriously loved taking these pictures because I love this dress. 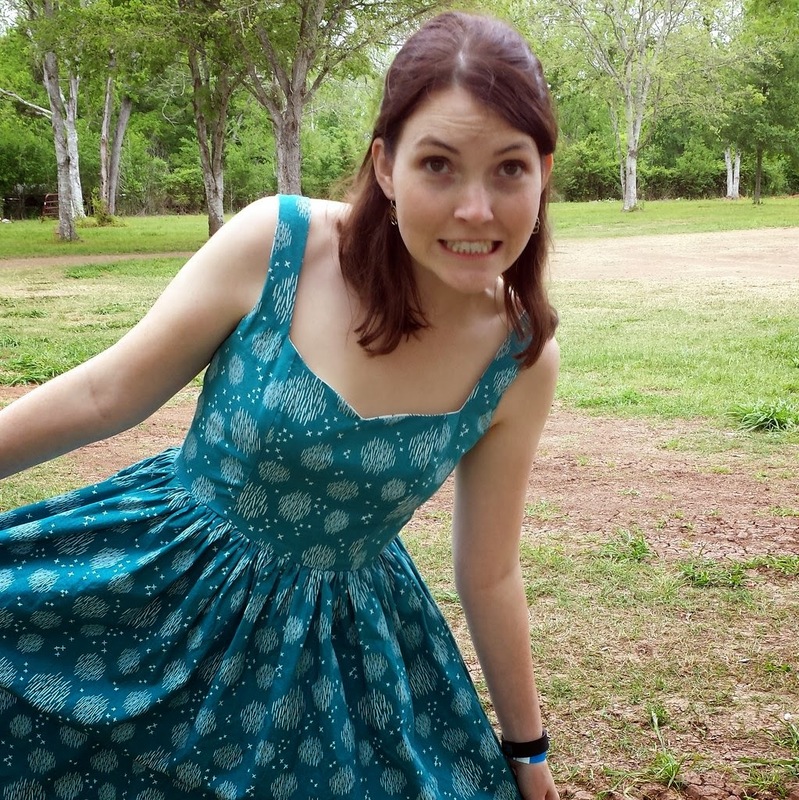 The gathered skirt has so much fullness that was super fun to twirl and wear all day long. 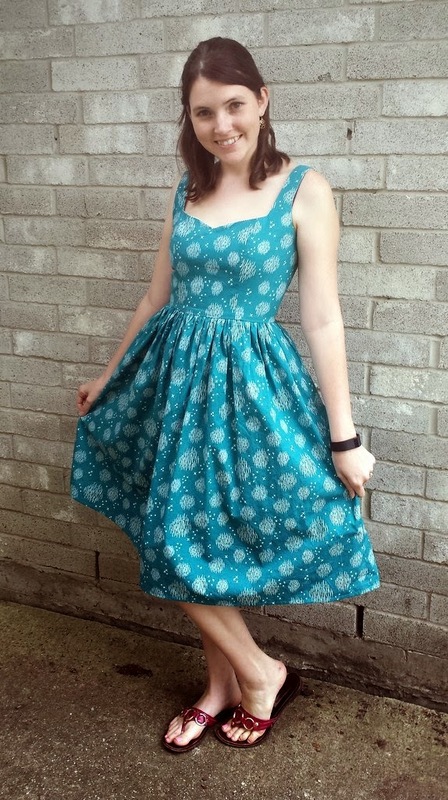 I tend to avoid making dresses with a gathered skirt because they tend to add extra bulk to the waistline, and no girl wants extra bulk at their waistline. But the weight of the Art Gallery Quilting Cotton is light enough that you really do not get that bulk. We had gone out to Bellington Farms right outside of Houston to take some of these pictures and for my munchkin to enjoy their Easter weekend fun. 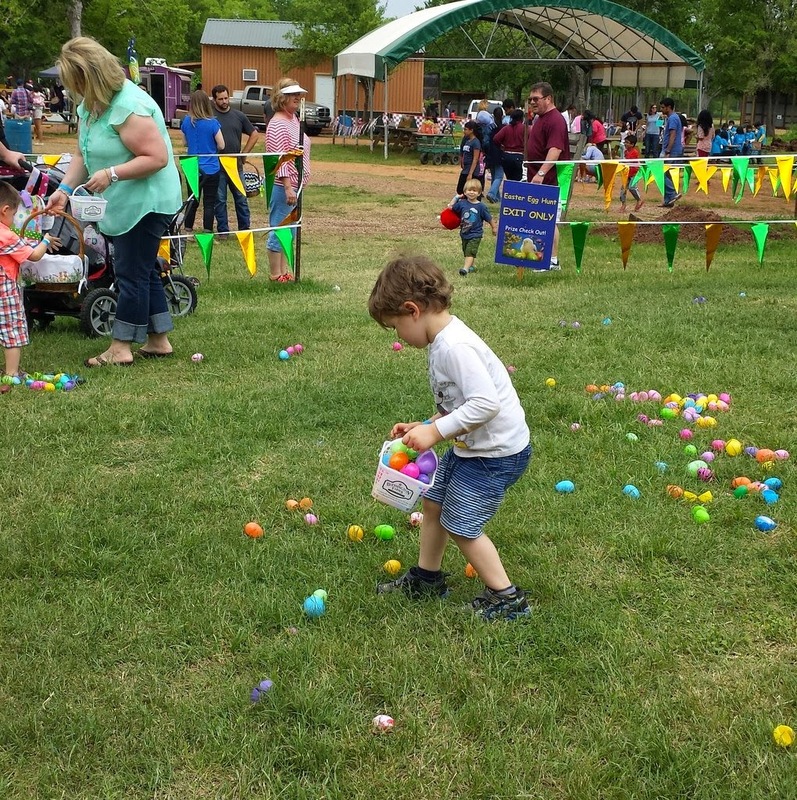 He had a blast, except for when he realized that there wasn't any candy in the eggs he was hunting for. This little man is one of the main reasons I became so active with quilting and sewing, I honestly don't think I would be where I am today if it wasn't for my desire to make him a quilt when I was pregnant. 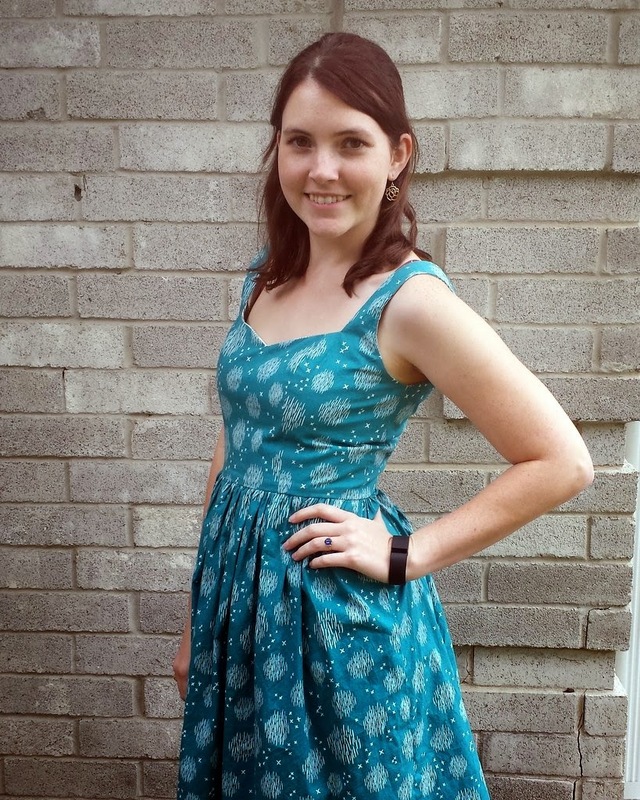 This dress is a wonderful addition to my handmade wardrobe. I am looking forward to being able to dress it up a bit and wear it to work, or throw on a pair of sandals and rock it on the weekend. Like some other Art Gallery collections, Etno also has 4 prints that are knits and 2 that are voile. Which makes the entire collection perfect for other types of garment sewing, and the quilting cottons are of course perfect for quilting. Don't miss THIS free quilt pattern. 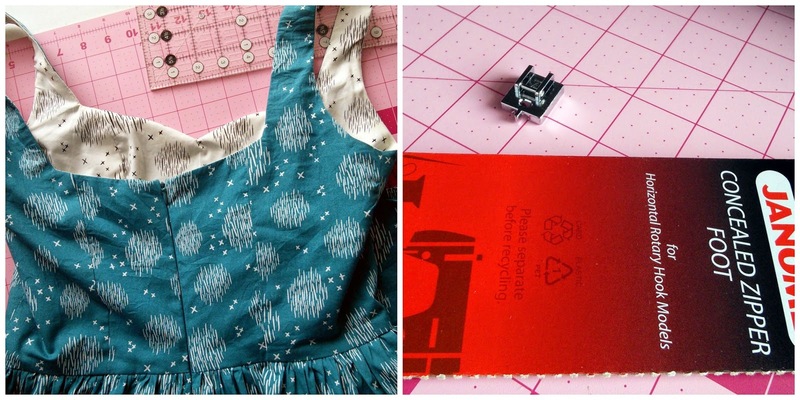 I had so much fun making this dress, and being a part of the Blog Tour! Be sure to stop by Lisa's blog and check out her post from yesterday, and then tomorrow check out Sharon's post over at Color Girl Quilts. The entire Blog Tour Lineup can be found here at Pat's Blog. There have been so many gorgeous projects shared already, and I cannot wait to see what is next! Thank you everyone who has stopped by today! I hope y'all have a wonderful Easter, and a fantastic week! This dress is so fun! I have been admiring this pattern and it looks great in that fabric! Your dress is adorable and darling on you! That print is my favorite of the line, I think. Your dress is so pretty, I love the print. Too dang cute!! I love these fabrics , this hop is so exciting! Thanks! I LOOOOVEEE your dress!!! It looks fabulous and so do you in it! I am in love with pretty much all of the Etno fabric and after making the table runner for my part of the tour (today, yay!!) now I want to make so many other things!! 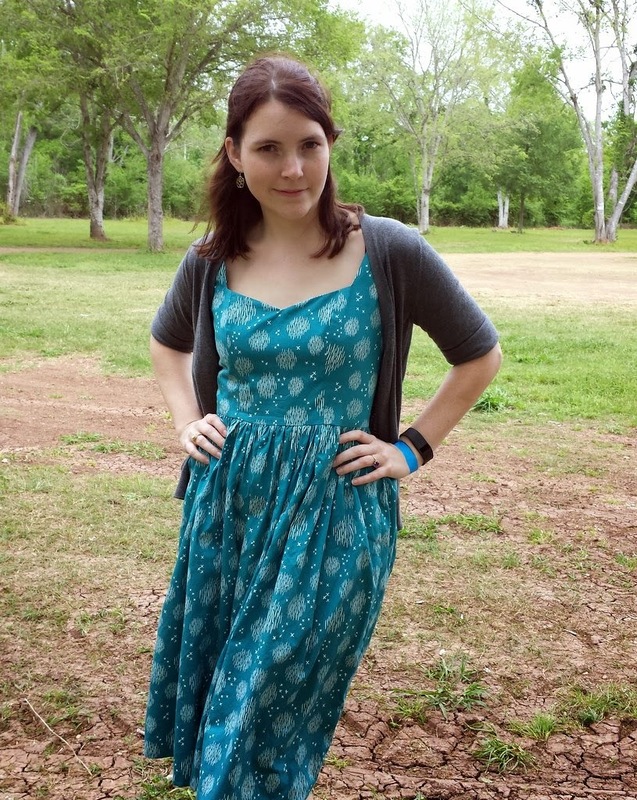 Can't wait for your pattern review, I really love this dress! (although not sure this recent grandma could (or should?) pull it off... ha ha!). So happy to be a part of this blog tour and to meet new creative people on the web! !